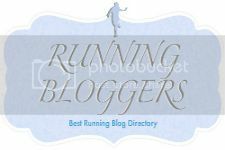 Today, I participated in a Virtual 5K to celebrate the birthday of blogger, Runs for Cookies. It was a great reason to get me into the gym. No, a training plan is never a great reason. Since I had missed a scheduled 3 mile run yesterday, I decided to run my 5K on the treadmill and then do 3 miles on the elliptical. My last couple of times on the treadmill have sucked. I forgot how hard, mentally, it is to run on that thing. 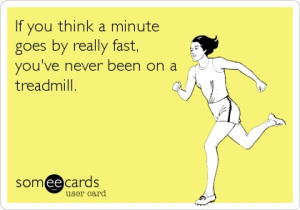 I use to only run on treadmills when I started! Now, it's torture. So, I had to go in with a game plan. I decided I would run the 5K on the 'random' option in order to feel more like I was outside. That way, I could increase and decrease the speed as the incline increased and decreased. I walked for five minutes to warm up and then started my program. I plugged in 36 minutes for a finish time, since that was my goal time for the race that I had made for myself. 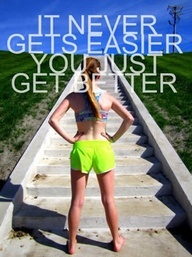 It was a rough run, but better then I have felt lately. I ran between a 5mph (12:00 min/mile) and a 5.8 (10:34 min/mile). My first mile was 11:19. While that is usually a little faster then I do outside, it was way too fast for the treadmill. I took a walk break after I hit mile 1. Then, another walk break at 1.5miles. Then, another one around 2 ish miles. Mile 2 was a little over 12 min/mile average pace. I didn't even pay attention to mile 3, but I was getting a little worried that I wouldn't finish in time. The last two minutes I kicked up the pace and came in right under my goal at 35 min 45 sec! I was dripping sweat everywhere! I felt good though. A bit tired, but strong. I did another 41 minutes in the cardio cinema watching The Ghost Writer. I really had no idea what was going on, but I like the idea of watching a movie while I work out so there are no commercials. I finished with 2.76 miles on the elliptical. After that, I rushed home to get ready for Craft Night. It was only going to be Laura and I, but that was okay since I don't see her enough! I made my version of a stuffed pepper casserole. It turned out pretty good. Laura made a pear crisp that was really YUM! Preheat oven to 375. Mix all ingredients except the cheese together in a bowl. Spread into a 9x13 pan. Sprinkle the cheese over the top. Bake about 40 minutes, or until cheese starts to turn a golden brown around the edges. Makes 8 servings. Since I have been doing Weight Watchers, this dish was 5 PP per serving! I work a short shift tomorrow and then a lot of running around. Sunday is weigh in day and my 5 mile long run.